ZEUS Access Dual provides a simple, fast, and cost-effective solution for linking up to six ZEUS Studio Bus boards with two Cincon-TTA brick style power supplies for a Eurorack system. It is a tethered 4HP space-saving front panel with two long-lasting high-power-rating On/Off switches and power sockets. 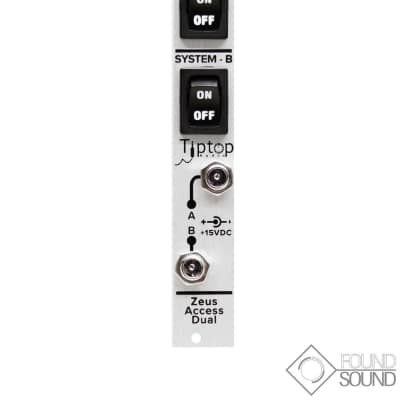 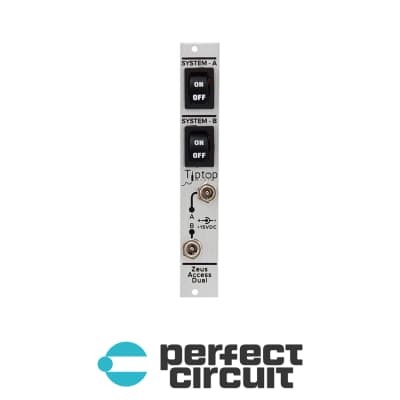 It comes fully assembled and wired with 16AWG wire and plated copper terminal leads that require no additional assembly or special tools for connecting to a ZEUS Studio Bus board.